We made exciting progress on our redesigned gift shop this week here at Carnegie Museum of Natural History! 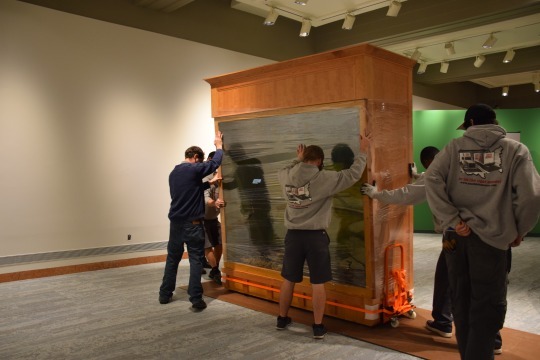 Three beautifully restored dioramas were wrapped in plastic and carefully moved to the gift shop on Tuesday. The new store is scheduled to open later this month, just in time for holiday shopping! Read more about the store redesign or the conservation process! Carefully moving the cases into place using lifts and casters.